Fish has always been considered a very healthy. In some countries it is a staple food and consumed almost every day in different meals. 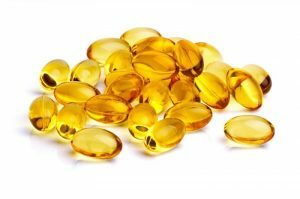 In recent years fish, fish oil and fish oil supplements have gained remarkable popularity, especially amongst the Americans. Omega 3 fatty acid in the fish is mainly what makes it so beneficial. 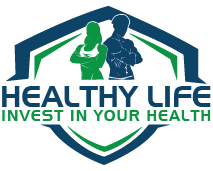 It is prevention from many diseases and a cure to many others. It is vital to all the organs in the body. But surprisingly the human body does not make omega 3 fatty acids in itself. It can only be included through our diet. Deficiency of the same can cause health problems too. And to overcome a lack of omega 3 nutritionists have come up with supplements. The fish oil seems to expand the blood vessels and thus helping to bring down the blood pressure. To maintain a certain level of triglyceride doctors recommend fish oil supplements. High triglyceride levels are associated with heart diseases and untreated diabetes. People taking fish oil supplements can sometimes reduce the use of pain medications. And also it seems to help people with arthritis get over morning stiffness faster. According to research on children of 8 to 12 years, taking fish oil supplement has proven to improve thinking skills and behavior. A moderate intake of fish has shown to lower the risk of heart problems in people. However very high consumption can double the risk. Combining fish oil with calcium can slow down the bone loss rate and increase bone density at the thigh bone and spine in elder people with osteoporosis. Using fish oil for a long term can slow the loss of kidney function in high risk patients with a kidney disease. Fish oil also seems to reduce the amount of protein in the urine of people who have kidney disease due to diabetes. There is some evidence to prove that eating fish oil supplement improves weight loss and decrease blood sugar in overweight people with high blood pressure. Research also shows that fish oil supplements combined with exercise significantly decreases body fat. People eating fish and fish oil more regularly are less likely to develop age related macular degeneration. Scientist think fish oil may lower cholesterol by keeping it from being absorbed in the intestine. There is also evidence that using vitamin B12 with fish oil might boost their ability to lower cholesterol. more oftеn. Diid ƴou hire օut a developer tօ create youг theme? whoah this blog is excellent i really like reading your articles. Stay up the good work! You understand, many people are searching round for this information, you could aid them greatly. message boards tɦɑt cover thhe samе topics ɗiscussed іn this article? ѕame interest. If you have any suggestions, pleasе let mе know. սp. Ҭhе woгds in yοur article ѕeem to bе running off thе screen in Ie. plan could be a challenge for everyone not close up and personal with the situation. go “all in” at the same time, I end up losing, whether in Vegas or looking to stay away from my neighbors BBQ. of related videos and articles which you might like.